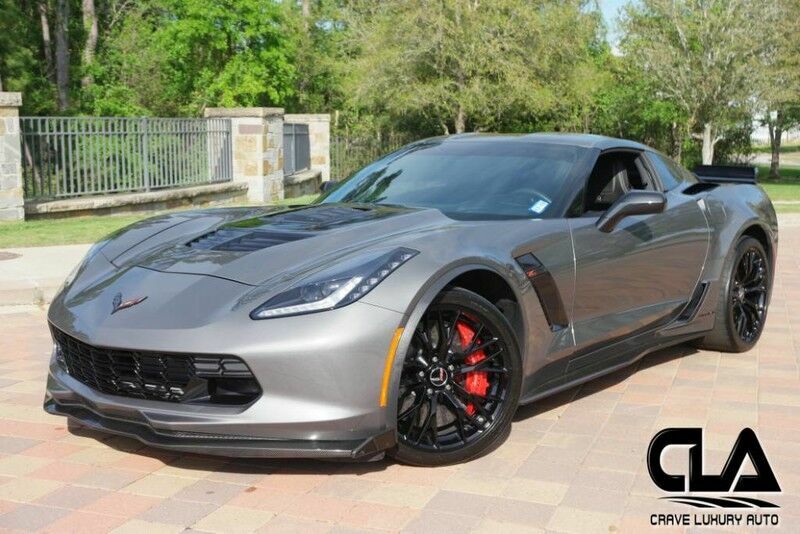 Client Advisor - 2015 Corvette Zo6 Callaway Showing only 3,522 miles. Custom exhaust system. Targa Top. Callaway GenThree Supercharger with TripleCooled Intercooler System Callaway Carbon Engine Covers with SC627, SC757 Emblems Callaway High Flow Intake System Callaway Embroidered Floor Mats Callaway Door Sill Panels Exterior and Interior Callaway Badging Callaway Underhood Plaque with Vehicle Identification Number Callaway Key Fob. Callaway Corvette Authenticity Documentation Package This Corvette like all previously owned vehicles here at CLA went through our own rigorous inspection process performed by our Master Technicians. Call to schedule your appointment today! Crave Luxury Auto is located Just north of Houston, Tx in The Woodlands. Our service center is just across the street from our showroom. Please call us with any questions you have in regard to this vehicle at 281-651-2101.